$50 for a first referral! $75 for a second referral!! $100 for ALL subsequent referrals!!! When your referral comes in for their free consultation they should give your name to the patient counselor, according to your original records with our office. Please provide your referral with current contact information for us if you have changed your address or phone number since visiting our office. 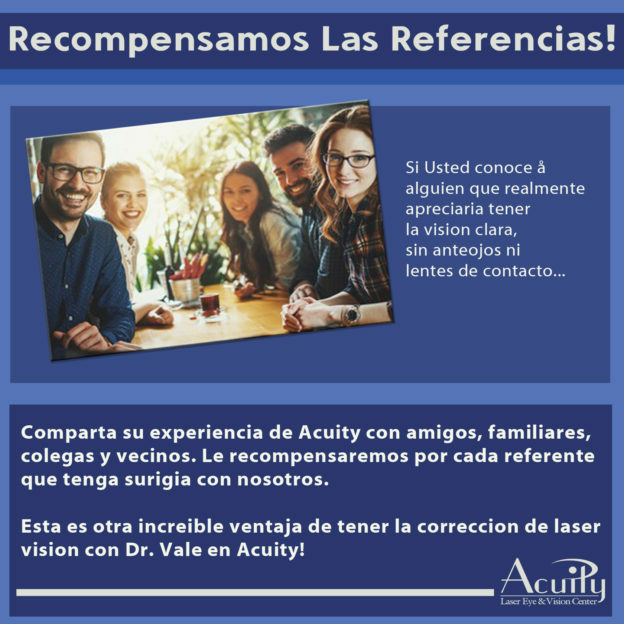 We will verify the referral with you and mail you your reward after they have had their laser vision correction at ACUITY. We will keep track of your referrals in our records.